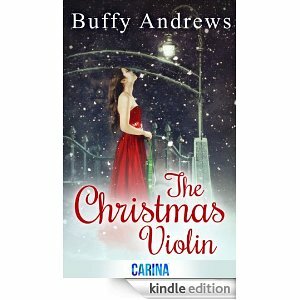 Today I’m delighted to welcome Buffy Andrews to the blog. She is an author, blogger, journalist and social media maven. By day, she’s a journalist, leading an award-winning staff at the York Daily Record/Sunday News (York, Pennsylvania, USA), where she is Assistant Managing Editor of Features and Niche Publications and social media coordinator. 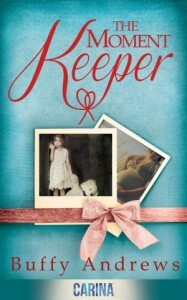 By night, she’s an author, writing women’s fiction, young adult and middle grade. In addition to her writing blog, Buffy’s Write Zone, she maintains a social media blog, Buffy’s World. She is also a newspaper and magazine columnist and writes middle-grade, young adult and women’s fiction. 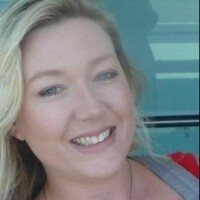 Check out her author page. She lives in southcentral Pennsylvania with her husband, Tom; two sons, Zach and Micah; and wheaten cairn terrier Kakita. Two babies; two very different upbringings. First there is Sarah: raised by her loving grandmother, but neglected by her own father who views her as the instrument of her mother’s death. She will lead a hard life, searching to belong and to be loved. Then there is Olivia, surrounded by love, nurtured and adored by her parents, a golden child with a golden future. When Sarah’s life is cut tragically short and she is assigned to record the moments of Olivia’s life as her Moment Keeper, their lives become intertwined. Sarah is able to overcome the heartbreak of her own lost years and Olivia is able to deal with a future that isn’t nearly as golden as what she had planned – or is it? Can there ever be an encore to true love? The last thing grief-stricken widower Peter St John expects to find at the cemetery is love. But one evening, as he lays flowers on Camilla’s grave, he is drawn to the haunting melody of a solitary violin player. And so he encounters beautiful concert violinist Willow Channing, who has her own grief to contend with. A second, chance meeting fuels the fire. And soon Peter knows that as one song ended, another might begin. Q. What do you do when you need to think or are stuck in your writing? A. I run. For some reason it frees my mind and I often find that it provides the clarity and direction I need. Q. Are you one of those people who stop writing while you know what’s coming next? A. Absolutely. Just like Hemingway. Does it always work out? No. But it’s what I aim for. Q. First person or third? A. It depends. I write in both. And sometimes, as in The Yearbook Series, I write alternating POVs. A. Coffee — a lot of it! A. My sons and the fine young men they have become. 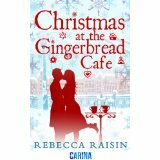 It’s beginning to feel a lot like Christmas… Today I’m thrilled to be chatting to Rebecca Raisin about her fabulous debut novella, Christmas at the Gingerbread Café, available now! Can you tell us a little bit about yourself, where you’re from, how long you’ve been writing and what you do when you’re not writing? I’m from Perth, Australia. I write most days, between wrangling my five year old twins, and attempting to keep the house in order, which constantly looks like some picked it up and shook it. I’ve been writing for five years, and more so the last year with said children at school. When I’m not writing I’m reading! Or eating. We enjoy spending time on weekends cooking food that takes hours to prepare and minutes to eat! Where did the idea for ‘Christmas at the Gingerbread Cafe’ come from? There were a few submission calls floating around social media for Christmas stories, and an idea sprang to mind. Of course this idea fluttered through my brain at midnight, so I wrote a bunch of notes so I could sleep and started the story the next day. For the first time ever I could ‘hear’ one of the characters ‘talking’ to me, and it was quite odd! But she’s a feisty, funny southern woman, and even though she’s fictional, I love her! It’s a novella, so the first draft took around a month to write, and a number of weeks to rewrite, then a few more weeks once the official edits came back. Is the book stand-alone or part of a series? Aha! This is the question… I have some exciting news on this front, but alas, I cannot share it as yet! I promise I’ll call back and tell you as soon as I can. Can you describe your journey to signing a contract with Carina? Super-fast! I submitted my Christmas story, as they had a special call for it, and a few days later I was talking on the phone to my editor, who rang and offered me a two book deal. Since then a few other exciting developments have transpired, and I couldn’t be more thrilled to work with such an amazing team, including the other Carina authors who are so supportive of one another. I’m working on ‘Book Two’ which is a romantic comedy set in New York. I’m half way through, and am hoping to get it finished in time for the deadline, and then move on to other projects. What’s your writing routine? Do you write every day? And what’s your usual daily word count? During the week, I get the boys organised and off to school. Then I come home and gaze at the havoc wreaked, and decide whether to A: Clean or B: Write. While I’m deciding I make coffee and then fire up the computer to write. FYI cleaning NEVER wins! But it’s nice to pretend I’m considering it. I write anywhere from 1000 to 3000 words a day. What are your writing ambitions? I want to be able to write full-time. To have international travel included as ‘research’ and a few other lofty ideas! But really, if I could write full-time and have people read and enjoy my work, that would be amazing. And of course, if it were paperback, all the better. What is your favourite genre to read and write? I love contemporary fiction, and contemporary romance, but I do read anything. And writing-wise I’ll give any genre a go for the pure sake of a challenge, but I prefer to write romantic comedy, or contemporary fiction. I do have another secret alias coming soon, and that person, writes outlandish spoof-style pulp type fiction. But it’s still secret! Pop song? Is Jolene a pop song? I just love Dolly Parton! Thanks for having me, Jill! My pleasure, Rebecca. I loved reading your answers and can’t wait to read your book. The icing on her Christmas cake! owner, with his seriously charming smile, has every girl in town swooning. someone-to-decorate-the-Christmas-tree-with ones – really do come true!